Today I’m going to show you how to organize your homestead by maintaining a Homestead Management Binder. I learned the hard way last year how chaotic an disorganized my home and homestead can be when I fail to keep to my schedule, take necessary notes, record expenses and yields (we didn’t record ANY milk yields since June when our production doubled! I could kick myself! ), and make plans. That’s just one of many reasons to keep homestead records! I’m determined to remedy that and organize my homestead in the process of doing so! My Homemaking Binder has done wonders for helping keep the home. It can’t hurt to try because life felt like anything but simple this past year when I wasn’t maintaining my Homestead Management Binder! Print out these Homestead Management Binder sheets for your personal use! Download all of them here! Or you can try to create your own. Once they’re all printed and ready to go, here is how you can use them to organize your homestead in the New Year! 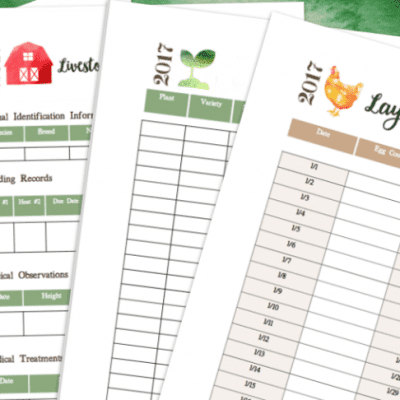 I’ve included several different calendars in the printable Homestead Management Sheets. • There are 2 styles of Homestead & Garden Calendars. A traditional “wall” style and a “planner” style, both with a space to jot down weather details for each day as well as notes. From frost dates to due dates. From first and last harvests to when a certain pest showed up in the garden. Keeping notes will help you assess in future years timelines for when you’ll need to have certain tasks done. Let’s take the pest as an example. If cabbage worms started munching on your broccoli on June 3rd, you’ll know to have row covers in place ahead of that date next year, protecting not only your broccoli but also the financial and time investment in the plant! • There is a “wall” style Home Dairy Calendar with a space for AM & PM milk totals. Observations on body condition, pasture condition, breeding information, and more could be noted for each day as necessary. • Each month also has a Month-At-A-Glance page. At the beginning of each month, I set aside some time to do paperwork, recording monthly totals, changing monthly sheets, and looking over what needs to be done next month so I can prepare and make necessary purchases. Month-At-A-Glance allows you to make note of all these things in one place so you don’t continually need to reference several different pages. 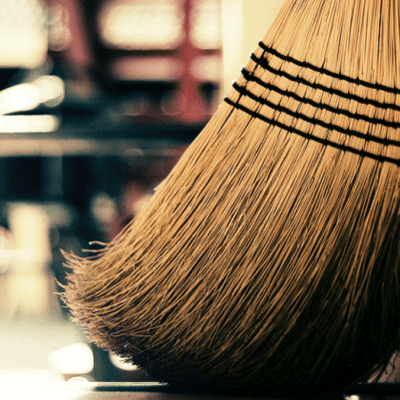 One of the most exciting parts of ending the homestead year is looking back and seeing how much you were able to produce, allowing you to not only see accomplishment but also better plan for the future! • Included are a Garden Yields sheet for you to make notes of both the current & previous years yields so that you can record the difference. Used in conjunction with your note taking on the calendars, you can see what worked (and what didn’t) in a year and hopefully improve upon it next year. • The Homestead Yields sheet works the same way and could be used instead of the Garden Yields sheet for those who have more being produced than that which comes from the garden. • There is a Laying Hens Egg Tally sheet for each month of the year. When eggs are gathered, the quantity is recorded here. Right now this sheet from last year is a real comfort to me in my egg-lessness for I know that the dearth of eggs in our home will soon be coming to an end and the gals will start laying at least an egg or two each day. At the end of the month, I add up the egg totals for the month and transfer them over to a final worksheet that includes all of the monthly final totals for the year. Print out these Homestead Management Binder sheets for your personal use! Download all of them here! Knowing whether or not your homestead is in the black so to speak is critical to showing where you need to get creative and work to cut costs. Included are expense worksheets for a garden, goats, honeybees, laying hens, rabbits, beef, sheep, meat chickens, hogs, and dairy cows. Record your final yields, pounds of feed, total expenses, and calculate a price per pound (or gallon). Set goals and record the actual quantity of goods you put up in a year with the Pantry Inventory sheet. 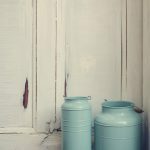 Knowing this information will help you better plan next year’s food preservation by showing whether you need to grow more or less food. I’ll also make a little note next to the item as to when I ran out. If I put up 20 quarts of tomato sauce and ran out in 6 months, then next year, I guess I oughta put up 40! I use an incubation chart to help me remember when I started a batch of eggs for hatching. It reminds me of when they need to be turned, as well as what days to STOP turning them (as noted with an “X). Garden planning is crucial to growing economical produce! With a little foresight and planning your organically grown fruits, vegetables, and herbs could save you a ton of money over market prices! • A Seed Inventory page will help you when the seed catalogs start rolling in. You will know what you already have on hand and overbuy seeds you don’t really need. • There is also an Outdoors To-Do List and a sheet of graph paper so you can carefully plot out your garden and get a vision for what it will look like this year. Keeping this diagram in your records will help you remember exactly where you planted each vegetable allowing for companion planting to go more easily. • Last, but most certainly not least, I have included an Excel file to calculate your seed sowing dates! It allows you to enter your first and last frost dates then generate custom spring and fall seed sowing dates. It includes dates for hardening off, germination timeline, and days to maturity!! If you find your favorite variety doesn’t quite match up to the average, you can edit the formula to reflect your observations. ❁ HOMESTEAD & GARDEN CALENDAR WITH NOTES- A 2018 planner-type calendar sheet for each month with a section on each date for notes and weather observations. 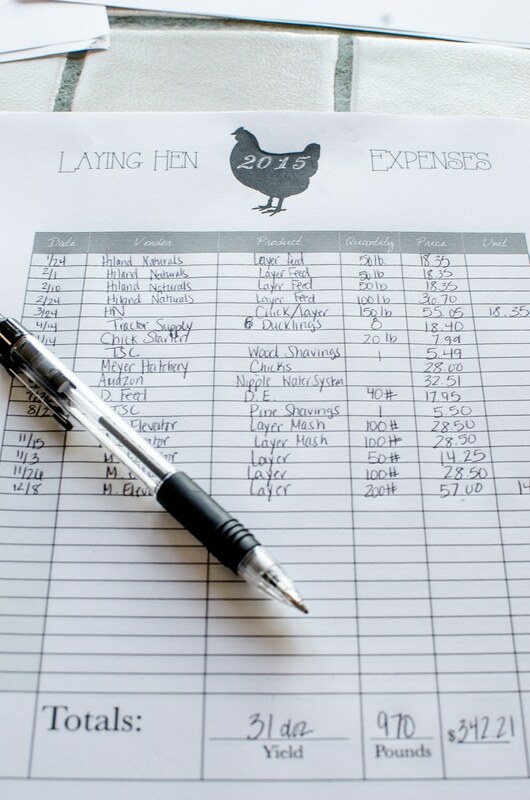 ❁ MONTHLY EGG TALLY CHARTS with a YEAR END EGG TOTALS CHART- Record your laying hen’s egg totals each day and then rather than keeping each page in your permanent record, transfer the month-end amount to the Year End Chart for easy total egg production each year. ❁ YEAR-END COST ANALYSIS- The top page of my records for past years. This quickly shows each area of production, yields, cost, and the price per pound. Seeing this all laid out neatly encourages me to improve yields and reduce cost each year. ❁ 2018 HOMESTEAD AND GARDEN CALENDAR- A 2017 wall-type calendar sheet for each month for homestead and garden use. Take notes and record weather conditions for each day of the month. ❁ YEAR-END DAIRY PRODUCTION RECORDS- One for goats and one for cows record the final dairy totals at the end of each month and then tally them up for a year-end figure. Also, record key notes about your animal’s reproductive year. 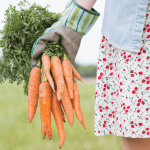 ❁ HOMESTEAD EARNINGS- If you are able to make an income from your homestead, keep track of those additions and see how they add up. I hope you’ve found some useful tools here that will help you get yourself organized in the new year! Wonderful, wonderful, wonderful! Now I just need to figure out how to combine this binder with a homeschool binder all in one and I’m set! LOL You are so talented! Blessings. Would LOVE to see them! I am so inspired by the idea of these binders. I made a home making binder years ago, but never really use it much. Must get organized before schooling starts up again! Quinn, how do you change date in seed sowing calendar? My frost dates are different than yours. Thank you Hunnie! I’m so glad you’ve found them to be useful! I hope that they continue to bless you all year long! The trouble is finding 10 minutes where Bill isn’t on his phone so I can use the video camera! It’s still definitely on my to-do-soon list. Hopefully I’ll get it done and up in the next week or so! Take care!! Just found this site and LOVING it! 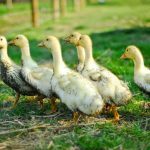 I’ve always homeschooled but new to homesteading. It’s already August so I’m wondering if I should just wait for the 2016 dated calendar? Will you be offering an updated one on Etsy? I purchased and downloaded this, but the Seed Sowing Caluclator file always says file is corrupt and won't open. Any hints on how to get it to work? Hi, I just purchased these printables but can't open the xl spreadsheet. Is there another way to gain access to it please? reliable games infrastructure as well as games. Heya excellent blog! Does running a blog such as this require a great deal of work? Thanks for sharing your thoughts about streetwear.